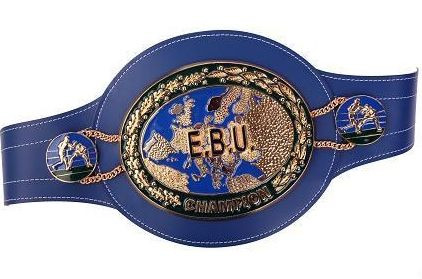 The EBU have ordered a rematch between its newly crowned superfeather champ Romain Jacob (21-0) and Devis Boschiero (34-2-1). Jacob won their fight February 14 in Calais (France) with an upset decision over the highly regarded Italian. It was a very close fight and all reports indicate it could have gone either way but Jacob prevailed on scores of 115-113 and 115-114 with a third vote for Boschiero at 115-114. Jacob must first however defend the title against mandatory challenger Ermanno Fegatilli (28-5) from Belgium and the EBU have set April 11 as date for purse bids. Newly crowned EU supermiddle champion Mariano Hilario ((10-2) will defend the title against Portugese Jorge Silva (12-3) April 25 in Lanzarote (Spain) with Rimer Boxe as promoter. Silva stopped Hilario the first time they fought. Lauren Pro Box stage its first show in Stockholm (Sweden) March 27 with the promoter herself, Mikaela Lauren, headlining in a defence of the WPBF and UBO superwelter title against South African Esther Mashiya.